Anthony and I met our freshman year of high school. I told him before homecoming I knew he was going to ask me to the dance, so of course he didn’t! We were great friends from high school into college although we were seeing other people. Our senior year of college, I was single and Anthony swooped in and made me fall in love with him pretty easily. He’ll tell you he’d been waiting since freshman year to do that. Anthony is my best friend, and I am the luckiest lady to call him my husband. My wedding dress shopping experience was exactly what I wanted – minus a few quirks. My sister and matron of honor planned everything from restaurants to order of boutiques to visit. 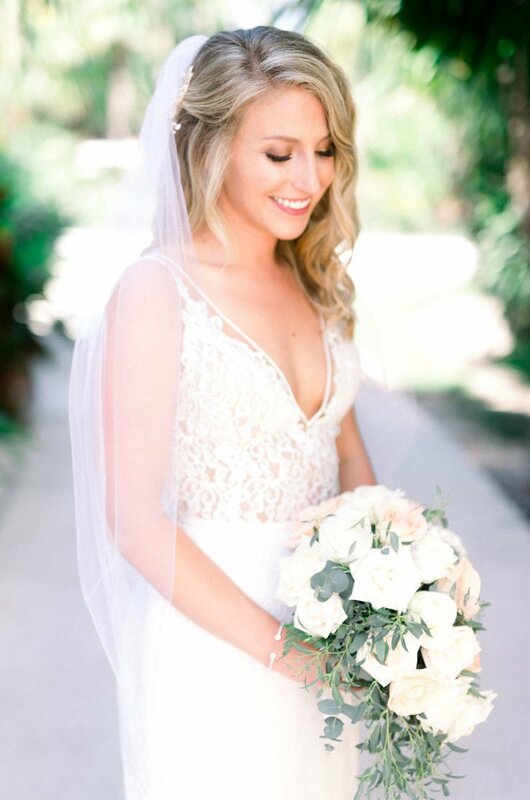 I knew going into the day that I wanted a low back and lace material for my dream dress, and I even thought about wanting sleeves (which would have been interesting during a summer wedding in Mexico), but my family and friends were supportive of whatever I wanted. I am the type of A personality that wanted to try on every style just in case I changed my mind though. We ended up going to four different locations without really finding *the one*. So my beautiful and supportive sister knew a break down was bound to happen soon, and she googled one last boutique for us to visit. When we pulled up to what we thought was our last chance, we found out quickly that it was a clothing store, and with dread in my sister’s eyes, the sweet attendant pointed across the street to another boutique that was actually a wedding dress shop. And of course, this place, Ready or Knot, was the boutique I found my dream dress at. I tried on three dresses that I had the hardest time choosing between in the end – and they were all Mikaella dresses. Jocelyn, the boutique attendant, said that the dresses must have been made for my body-type, and in a non-conceited way, it truly felt that way. I was so relieved that I finally found dresses that had the characteristics I was looking for, and now there were multiple to choose from. In the end, I put on my dress one more time, and the water-works began. The beige top with white lace overlay added the beach style I was looking for while also having the low front and back. I felt like a princess in that dress, and I can’t imagine my wedding without it. 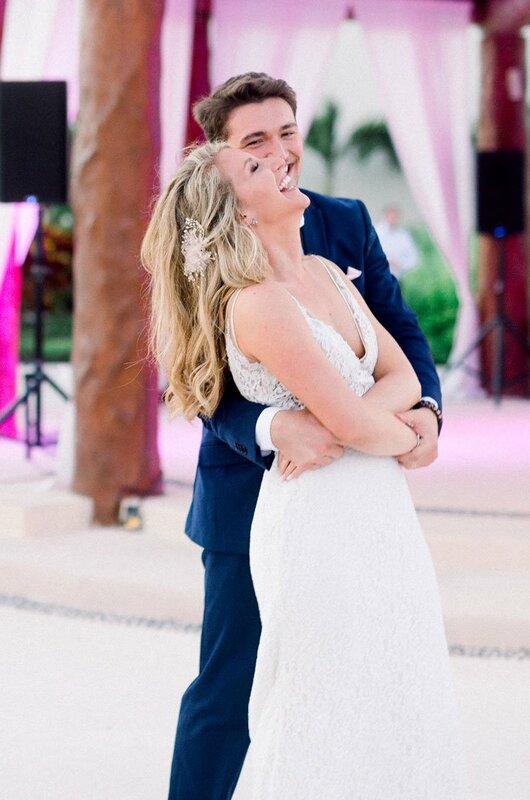 Our wedding was on a resort in Playa del Carmen, Mexico. Secrets Maroma Beach was absolutely wonderful – I would recommend the experience to any person that asks. 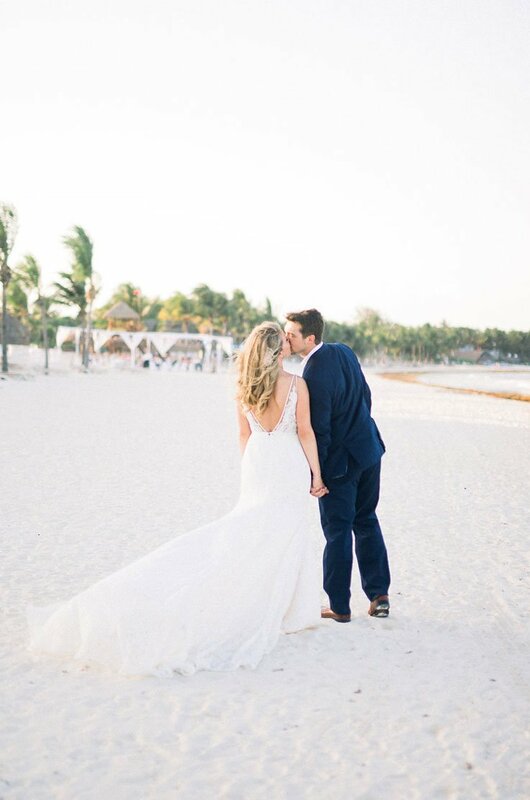 From the coordinator on-site, to the honeymoon suite, everything was absolutely beyond what our expectations were. We were married on the south beach with the waves crashing behind us, and our reception was at the resort gazebo by the pools. 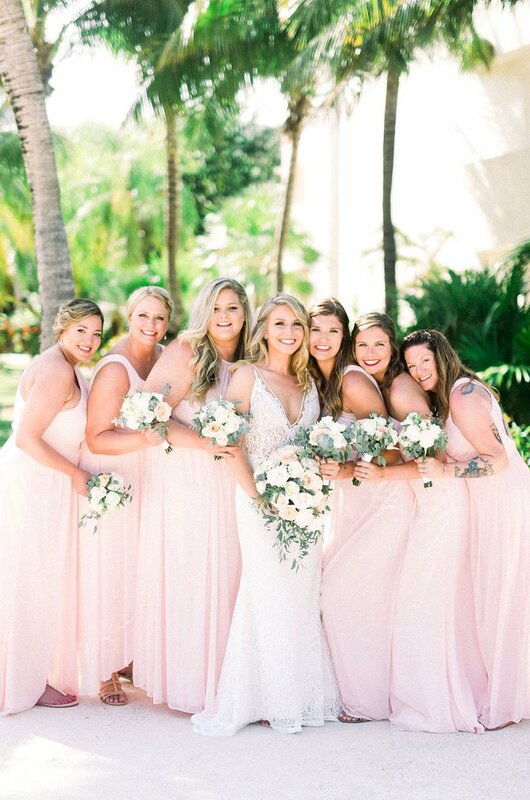 I wanted to feel like I wasn’t missing out on any of the events since we decided to do destination – cake cutting, first-dance, slide-show – so, we had it all! The resort was so accommodating, and everything went beautifully without a hitch (or if there were, I didn’t know about it!). My husband and I are still talking about how perfect and wonderful our wedding was. 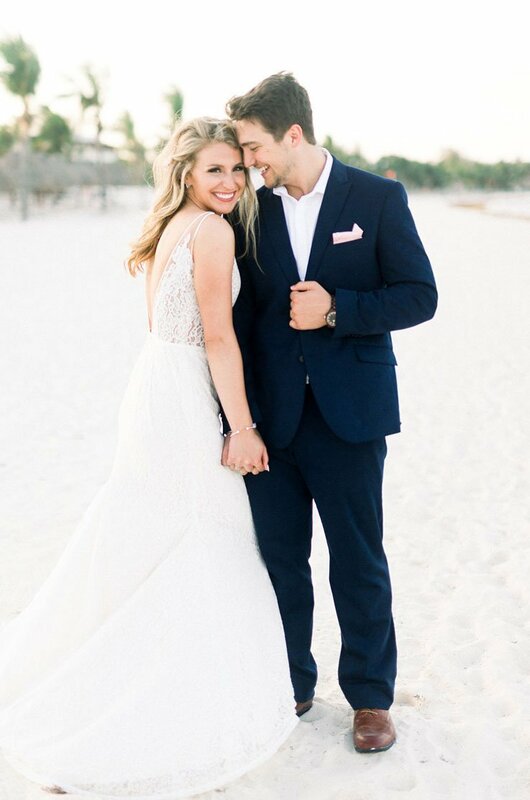 He still talks about how I “took the breathe out of him” when I walked down the sandy aisle. If there is one thing that I am so glad I decided to do is this: take in every moment. Every bride I have every talked to says the day goes by so quickly, so I wanted to soak it all in. I remember looking to Anthony and saying, “We are on a beach. The waves are crashing behind us, and we just promised forever to each other.” It was truly a dream experience.